As a Woman-Owned Small Business we have served some of the largest defense, aerospace, technology and medical companies, as well as, the United States military for over 30 years. CaseTech clients receive only the best – the best quality, the best selection and the best service. It’s not just a statement it’s our commitment. We are dedicated to providing the latest case design as well as stock and custom cases to meet your specific requirements. With our wide selection of protective cases and state-of-the-art materials, we can provide solutions for any case application. We can help alleviate your shipping and storage concerns by insuring your case will meet or exceed all your expectations. That’s the confidence and peace of mind which CaseTech provides. If a standard case does not meet your need, we can design a custom case to meet your exact requirements. 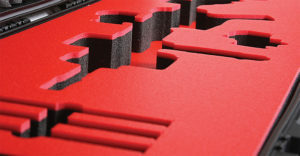 The options are virtually limitless – custom foam inserts; airtight, including pressure relief valves to allow for changes in air pressure and temperature; shockmount cases providing the ultimate in shock and vibration protection; casters; locks and more. When your products and reputation are at stake, you can’t afford to take chances. We represent the largest case companies in America and have access to the exact case that will fit your need. We value you as a customer and welcome the opportunity to assist you with your case needs, today and in the future.